You may already know if you are a reader of my blog, how much I adore Hotel Chocolat chocolates. So when I was sent through The Sleekster All About Mum Selection Box I knew they would be all mine. And these were divine. 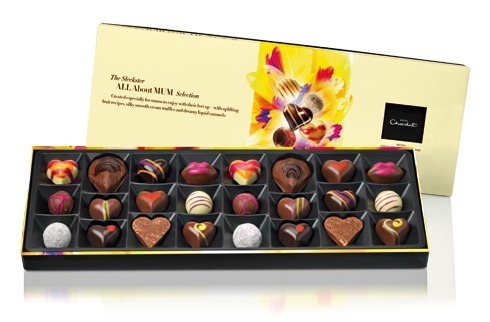 Hotel Chocolat have a gorgeous range of Mother’s Day gifts to make sure that Mothers can be well and truly spoilt on Mother’s Day which is 18th March 2012. I know I am hoping to get some chocolates from the selection for Mother’s Day and I won’t be sharing. Not these babies. The Sleekster All About Mum Selection look amazing, tastes amazing and is amazing. 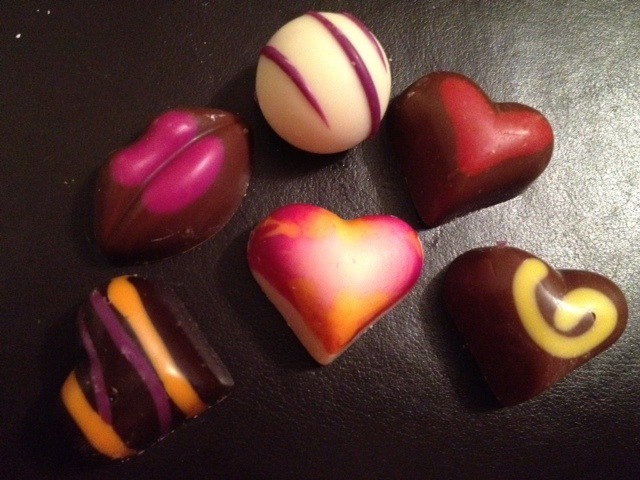 The chocolates consist of Champagne Truffles, Buck’s Fizz hearts, Caramel Sweethearts, Mother of Pearl pralines, Cherry Bombs to Raspberry Raptures, Bison Grass Vodka heart and Chili Sweethearts. There is also a Strawberry and black pepper chocolate which is amazing, even if it is dark chocolate, which I’m not keen on, this was delicious. 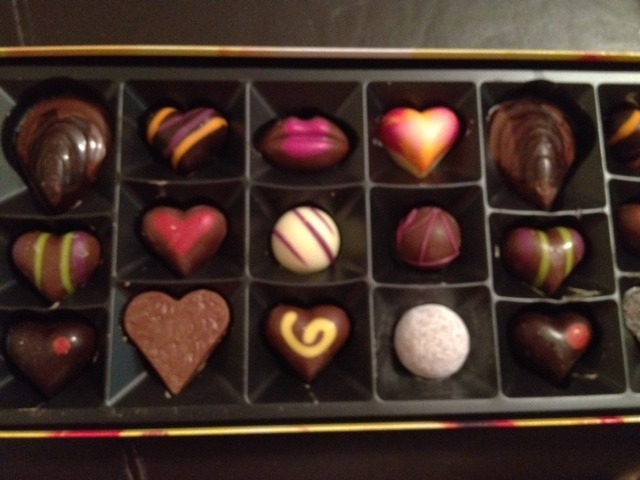 My favourites were the Champagne Truffles and the Cherry Bombs. I do not think I found one chocolate in this box that I did not enjoy. I did give out one or two, I’m not that selfish, but the rest were mine. My precious chocolates. Look how good these look. Hotel Chocolat are my all time favourite indulgence. I am hoping I get some for mothers day and I would highly recommend these if you are looking for that perfect Mother’s Day gift. I can guarantee you will get lots of brownie points for this one. Disclaimer:- I was sent a box of these to review, but the opinions expressed are my own. I love Hotel Chocolat.